It’s the season and love and there’s no better way to embody that than to sprinkle and bit of Cupid’s style around the house. 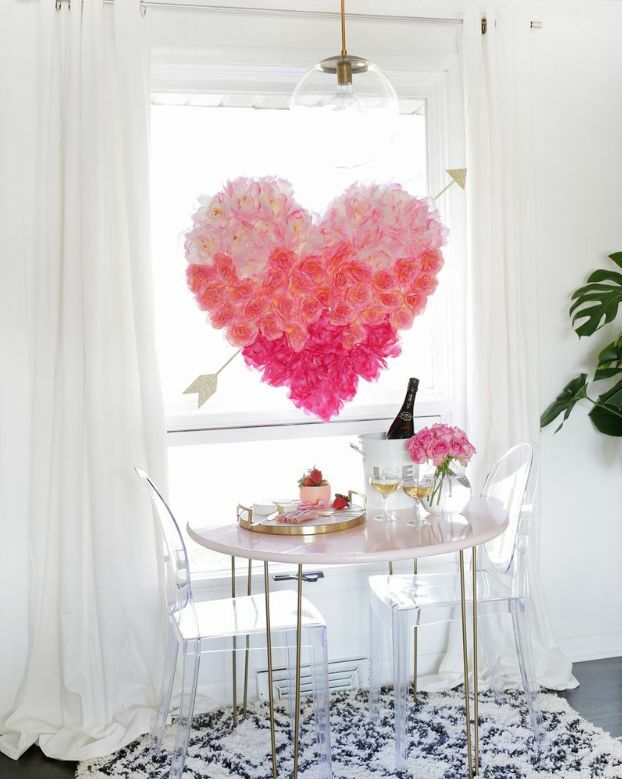 Below we’ve gifted you all with 50 Valentine’s Day decor DIYs that you can whip up in an afternoon. Some pinks, reds, and a lot of hearts are needed to showcase the festivity and fun of this warming and romantic holiday. Scroll through the fun below! 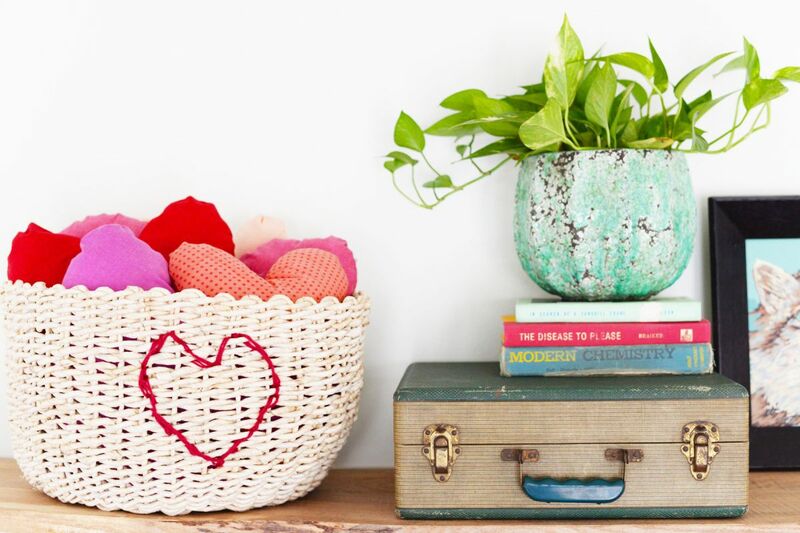 Start out with a classic living room addition and turn t into a DIY Heart Stitched Basket. 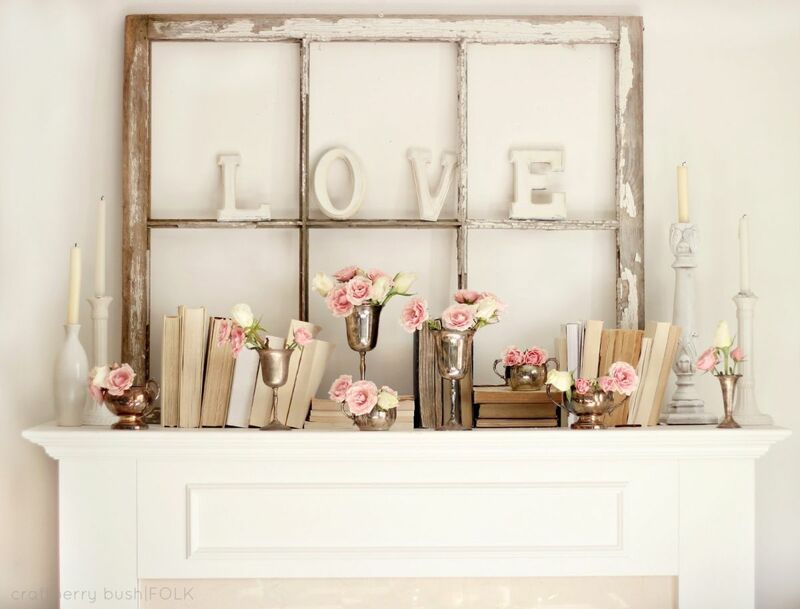 It’s a subtle way to bring some of Cupid’s style into you house – and keep it there all year long if you’d like. 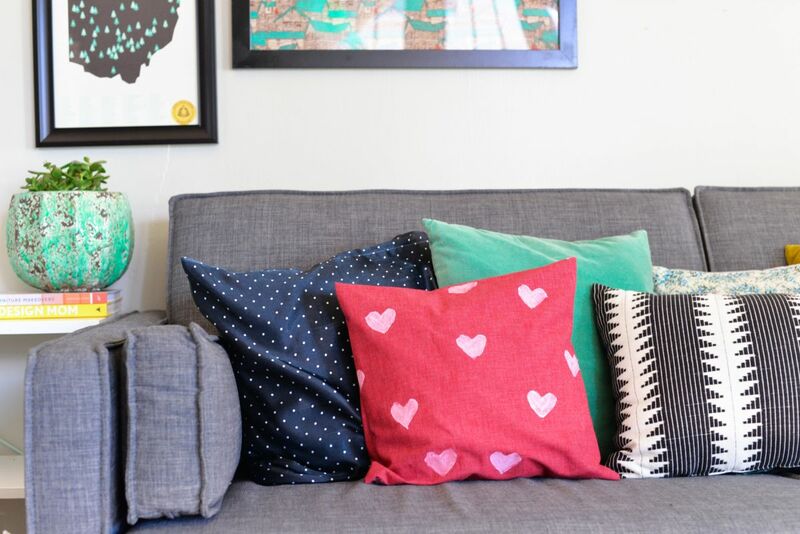 One of these DIY Heart Stamped Pillow Covers is great for adding a pop of love to the space as well. This one is really easy to follow – especially for our novice crafters out there. 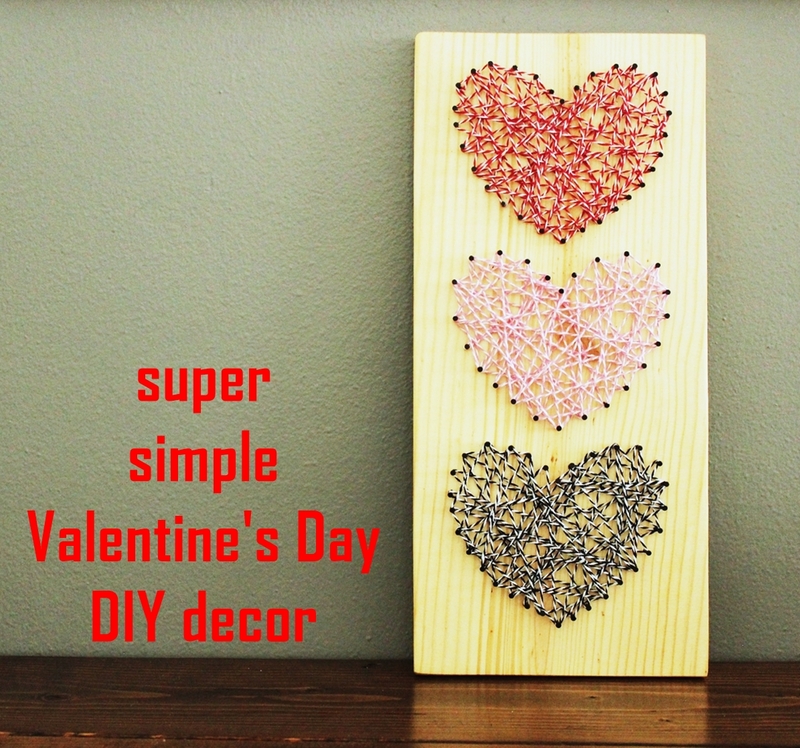 Some DIY Baker’s Twine Heart String Art is fun to participate in too. Grab the gals and make it a night of stringing together some Valentine’s Day art. 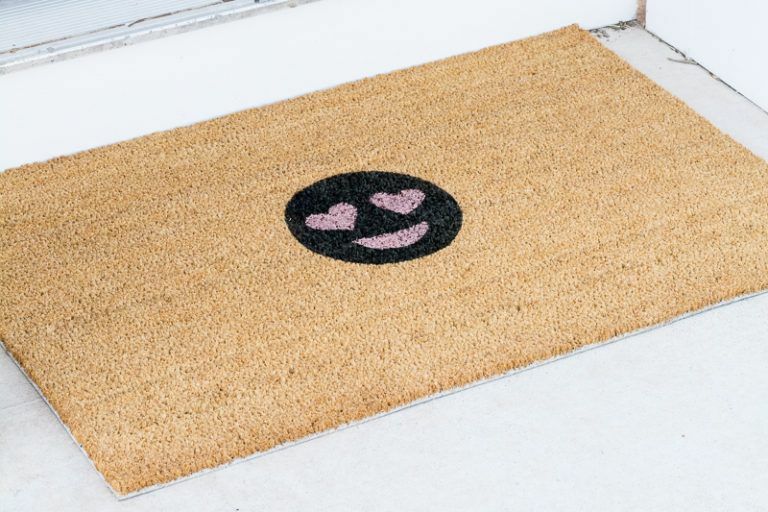 This DIY Heart Eye Emoji Doormat is rather fun too. It’s a nice project to take on nonetheless but it fits right into the February charm you need to sprinkle a bit of loving style around the house. 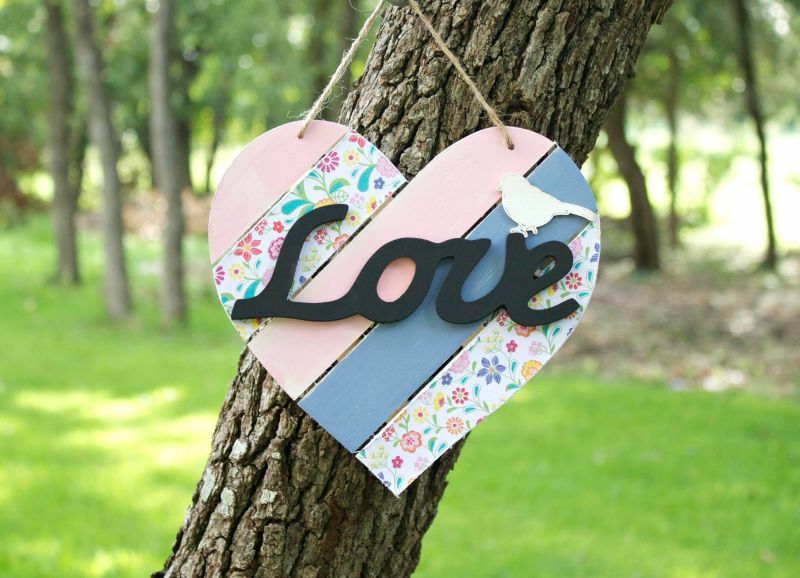 We’re swooning for this precious Shabby Chic Wood Heart Decor. It can be used inside and outside – and as a nice greeting on any door around the house. Some Tassel Garland will add some festivity as well. The color will add a pop of holiday charm and it’s an easy project to take on – and easy to decorate with. Just some simple Heart Wall Art will work as well. 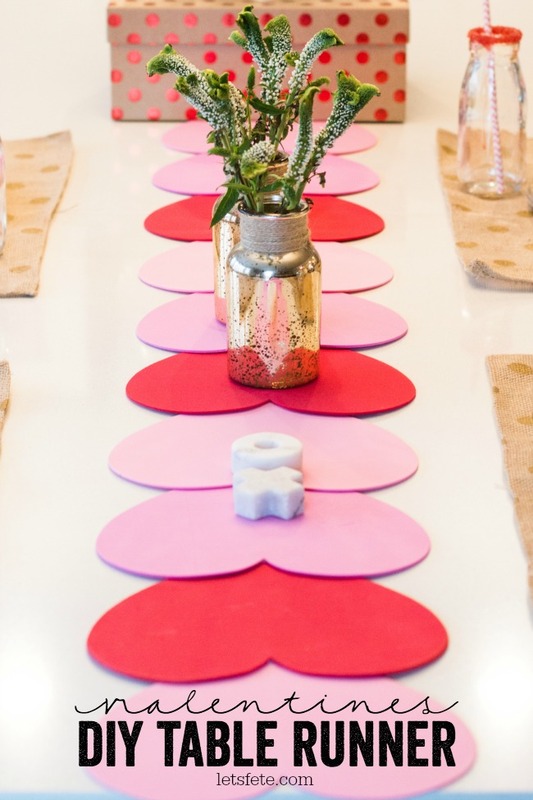 This is an easy DIY to pull off, especially if you’re pushed for time and need to whip up some decorations before your Galentine’s get together. 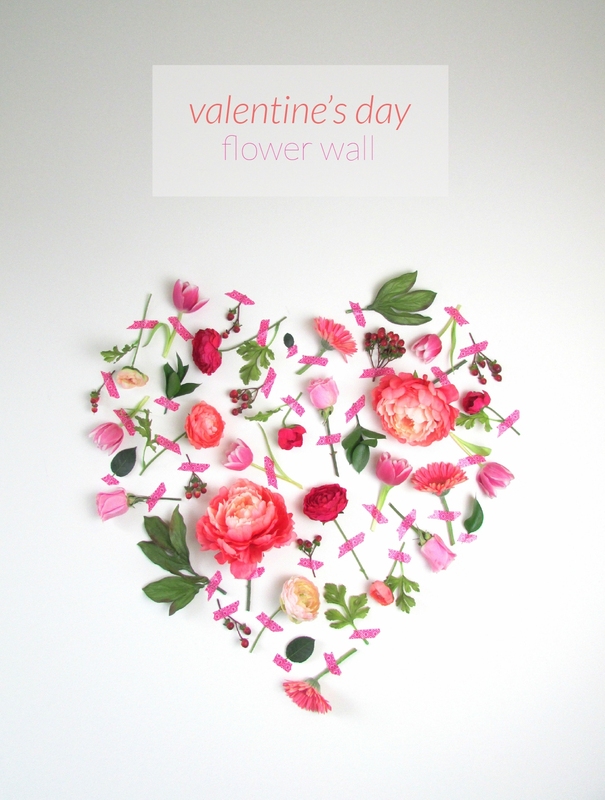 A Valentine’s Day Flower Wall is super simple to make as well. Grab a bouquet of your favorites, some scissors, and washi tape and then start working on your design. 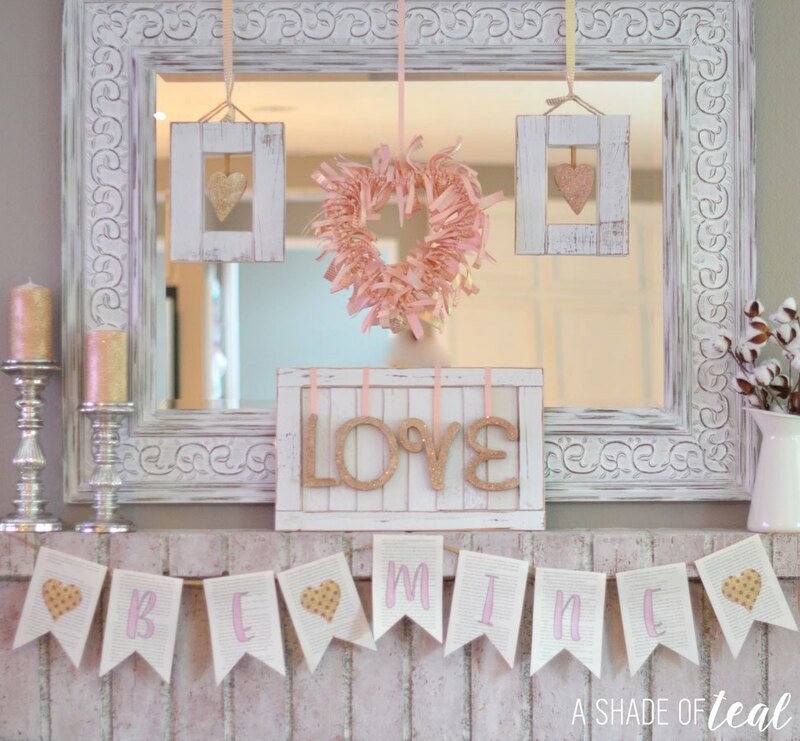 For those that like a more farmhouse style, then check out this DIY Rustic Heart Window Garland. It will fit in with your home decor nicely but also evoke a feeling of the festive and fun holiday. 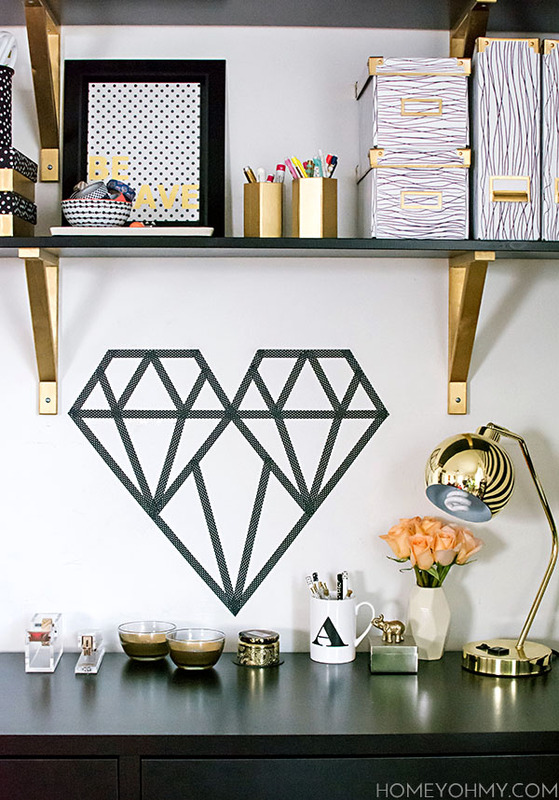 A bit of sparkle is always a good idea when it comes to Valentine’s Day decor. 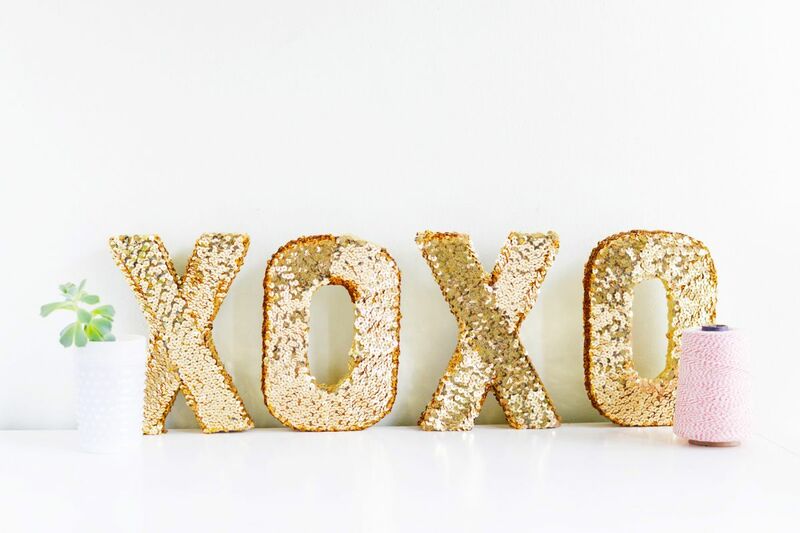 These DIY Sequin XOXO Letters will dress up the mantle or bookshelves with some shimmer and shine. 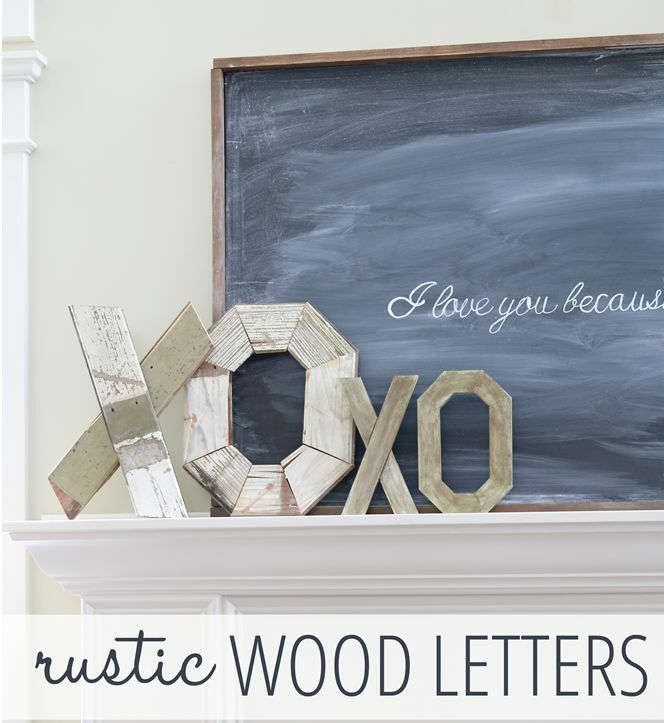 DIY Rustic Wood Letters can do the same thing. 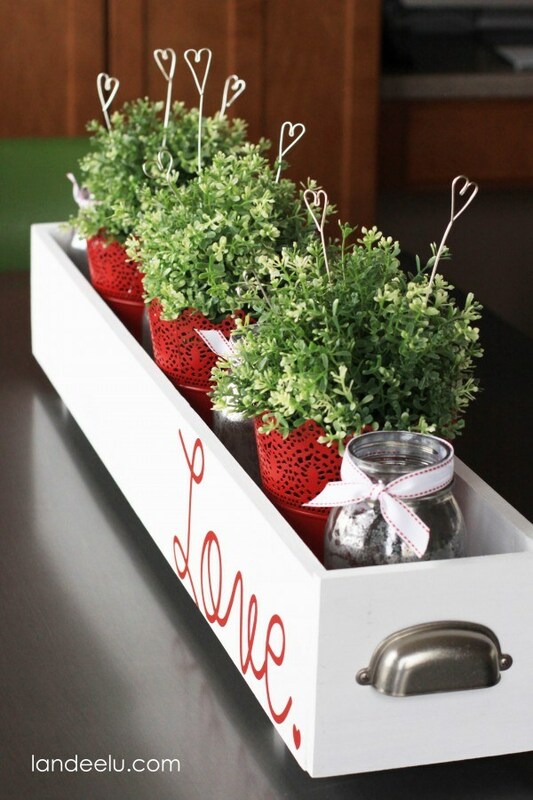 Add in some Valentine’s Day style but in a way that already blends in with your home’s vision. 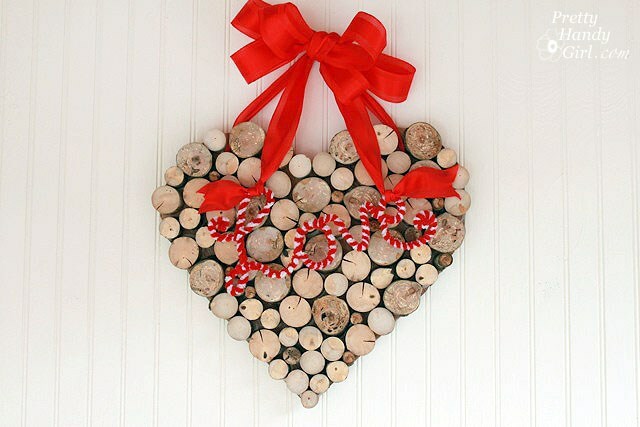 Here’s a Valentine’s Day Mantel that we’re loving. The entire setup is sweet and perfectly festive to ring in Cupid’s bigest day. Some rustic charm and blushing tones, it’s an easy look to recreate at home. Then we have some small little Wire Heart Picks that can be whipped up and utilized around the house. Just pop some in your green for a light paid homage. 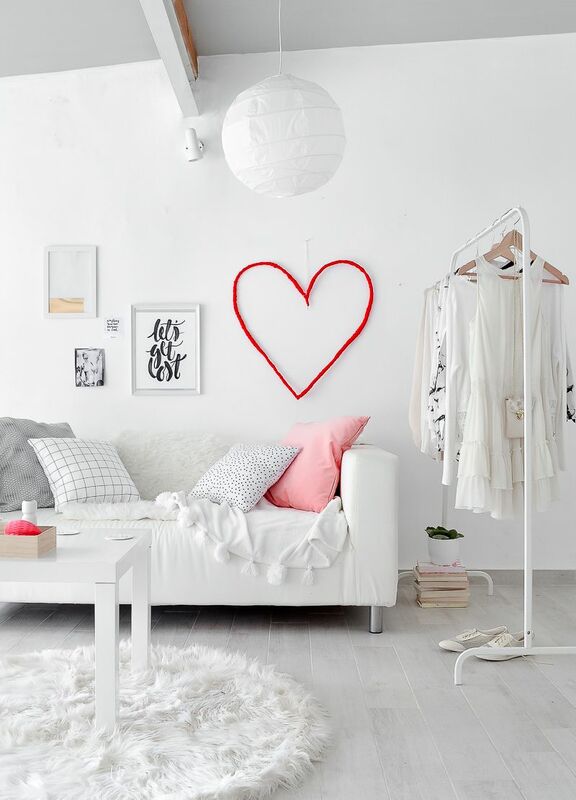 We’re seriously swooning for these Floral Hearts on the wall. Perfect for Valentine’s Day, of course, but these are pretty enough to keep around all year long if you’d like. 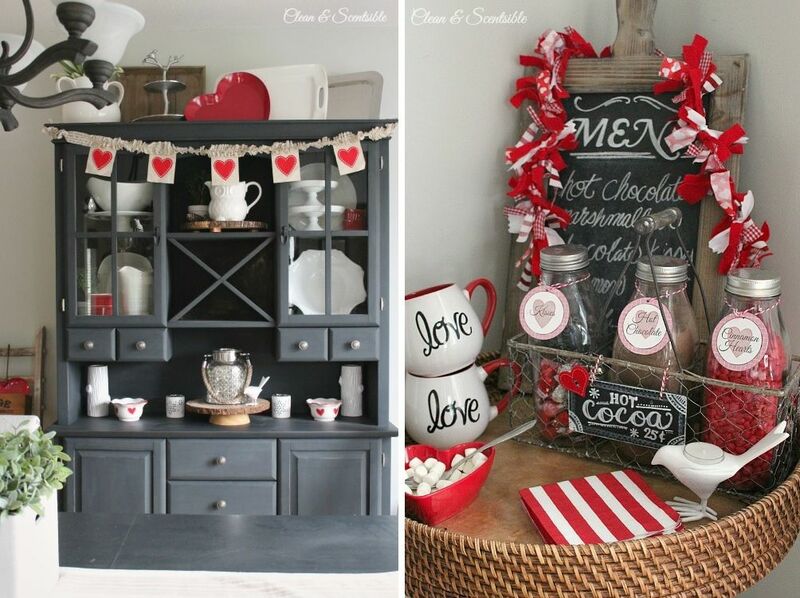 We found some other Valentine’s Day Decor Ideas, like this redo of a coffee nook in the kitchen. Just add some jazz to the area to sprinkle around the festivity of the loving holiday. A bit of glitter, as we’ve mentioned, is always a good idea, especially when you’re celebrating. 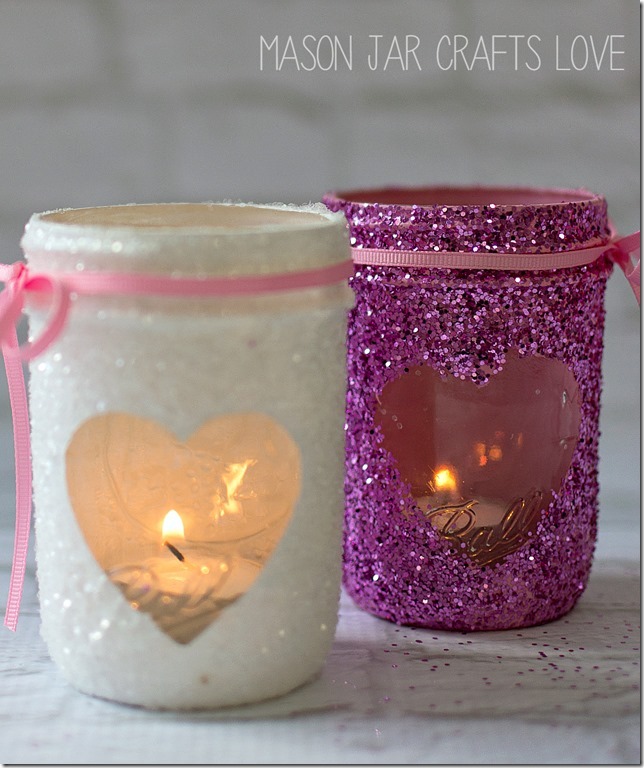 Mason Jar Glitter Votives are easy to whip up and they’re perfect for evoking a sense of romance into the space as well. Make sure to grab some red and gold glitter too! 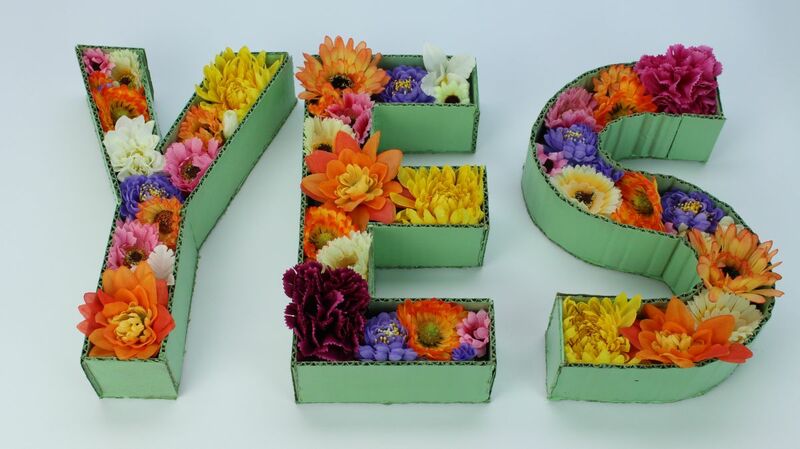 Whip Up This Easy Floral Cardboard Letter Décor by following along with this easy tutorial. Just think of all the phrasing and possibilities you’d have for the holiday! Here’s another throw pillow idea to douse your living room with some V-day spirits with. 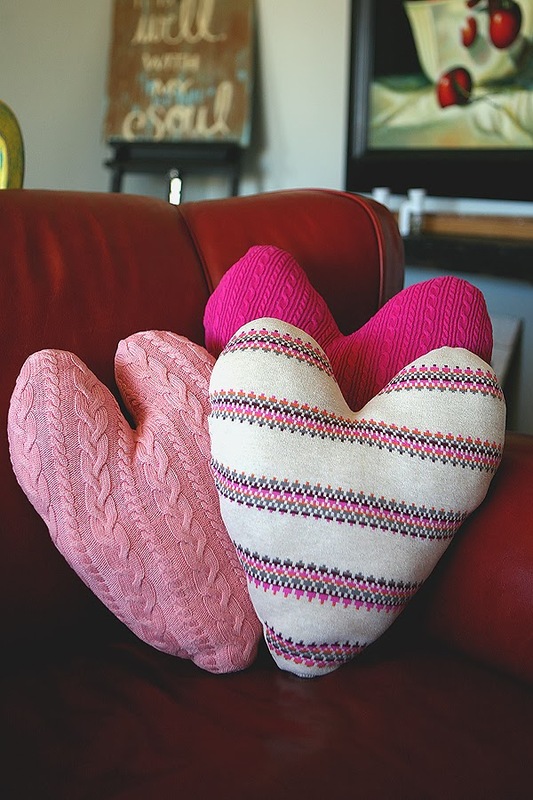 Grab some of your older pieces and turn them into Sweater Heart Pillows! 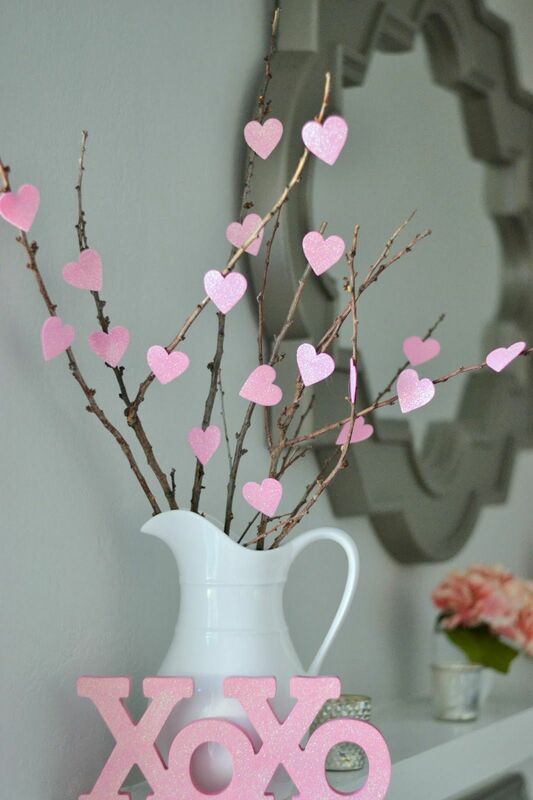 Grab some of that tape you have in the craft room and turn them into Washi Tape Hearts. This is so simple, so easy-to-follow, and easy to clean up when the season turns. Now it’s time to learn How To Make a Heart-Shaped Wreath Form. Grab the kiddos, grab a bag of pom poms, and then start gluing your welcome sign for the front door. 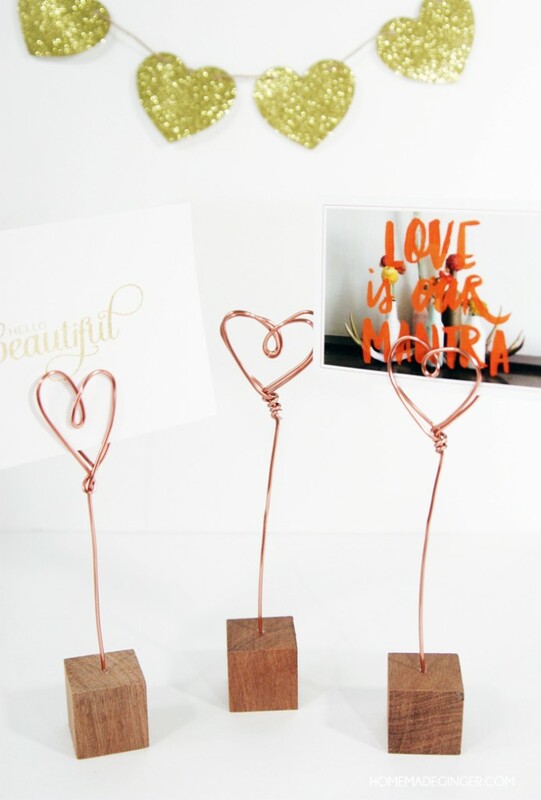 Show off your best Insta shots or photos of you and your beau with these Copper Wire Photo Holders. Again, they’re great to put out around February 14th, but cute neough to use all year long. 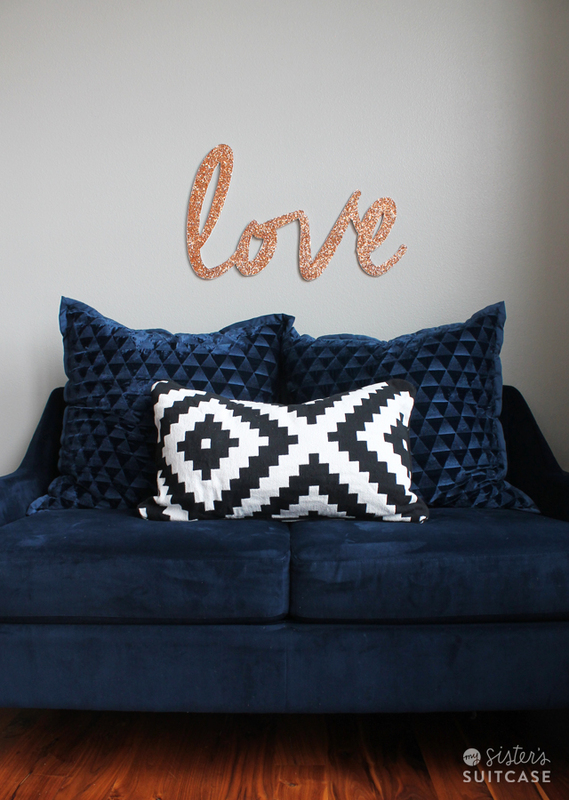 A glitter sign never hurt anyone, especially one that sparkles with “love” – quite literally. Hop on over now and check out the easy tutorial and whip one up by the weekend. Here’s another way to dress the front door with some festivity. 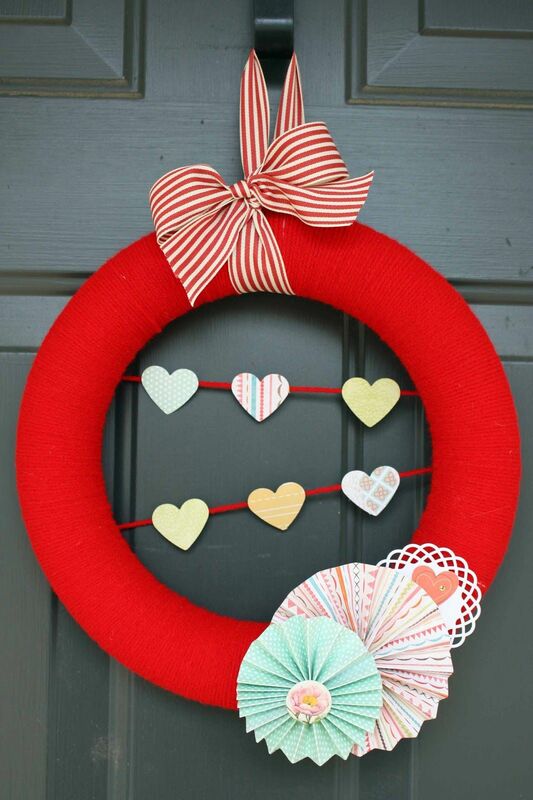 Visit now, take the leap, and grab the details by this DIY Double Valentine Wreath. Love Blocks could be a fun task to take on as well. Dress the mantel, some of the window sills, or even some bookshelves with these. You can get really creative and personalize these too! This one would be a great gift for the girls! Some DIY Lipstick Art may even be a good reason to get all your friends together and have a night of arts, crafts, and a bit of wine too. Here’s a classic for you to try out. 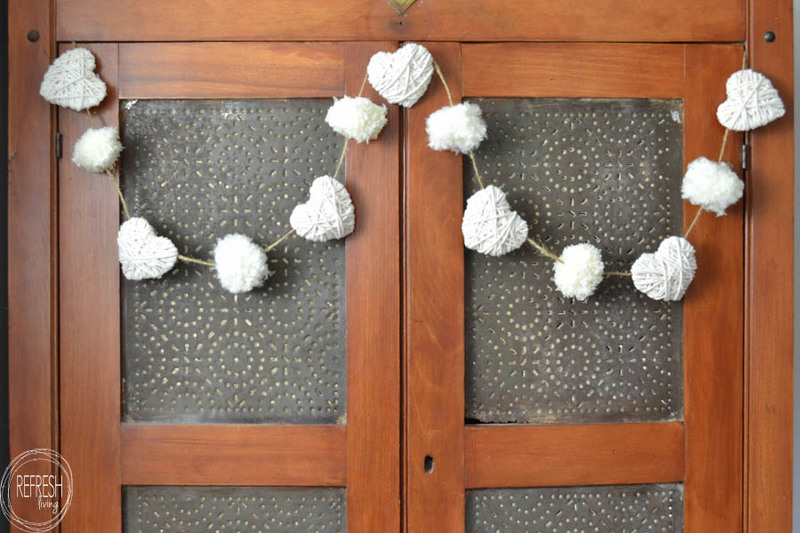 Some Paper Heart Garland is quick, easy, and works in a pinch. More so, it works for the kiddos to help out with too. 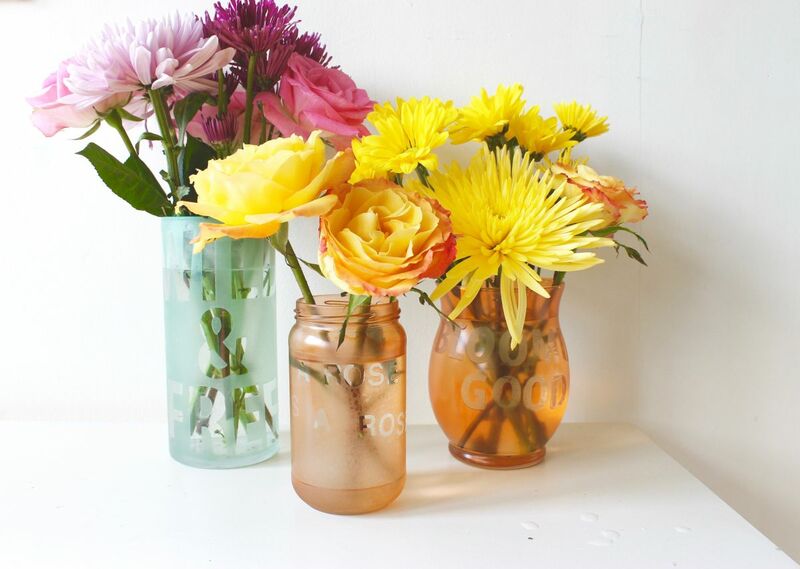 Check out these Colorful Etched Vases With Flower Puns And Sayings! Create some of these for family and friends, make your own arrangements, and personalize the words by the person receiving your finished product. 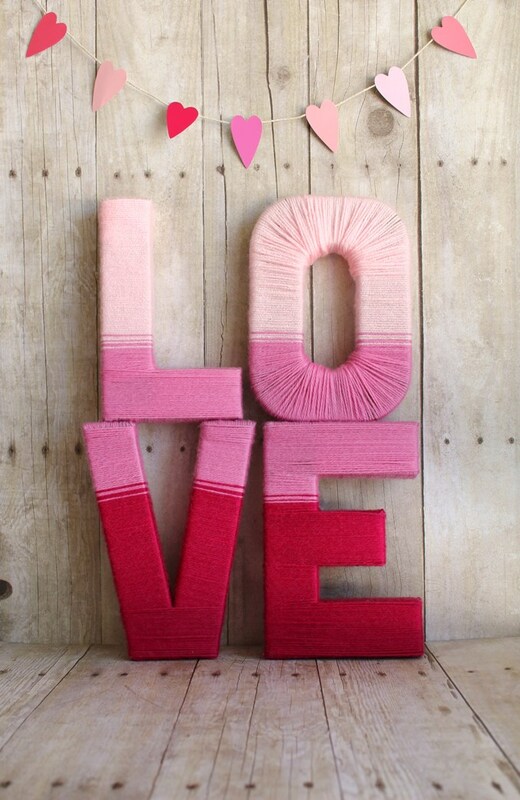 We have another Blush Valentine’s Day Mantle to grab inspiration from. Our eyes go immediately to that charming bunting – which can be whipped up in a quick hour at home. 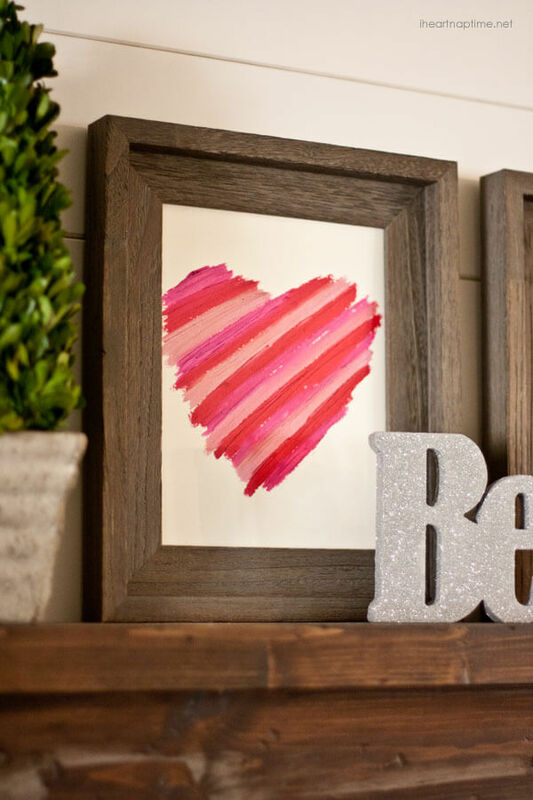 Of course you can go a different route for your Valentine’s Day mantel. You can create some glamorous vibes or a Victorian prescence by emulating some of the looks you see here. 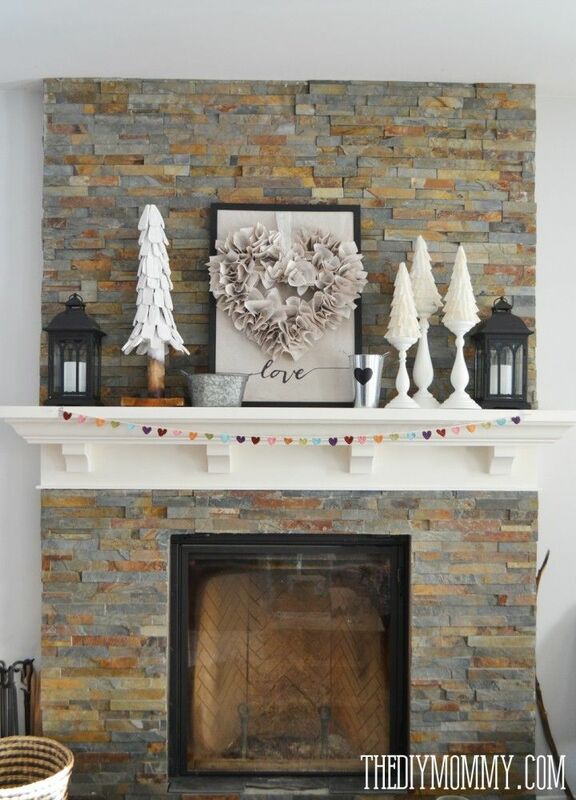 Neutral Valentine’s Day Mantle Inspiration could come in handy as well. For those that want to celebrate but in a more subtle nature, take some hints from this setup. The more wreath projects you have in your reportoire, the better. 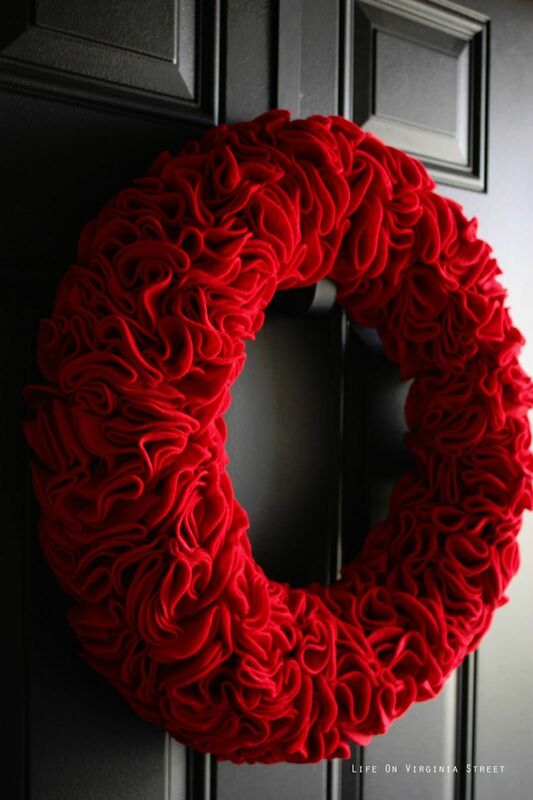 And this Red Felt Ruffle Wreath is a versatile, shining star. 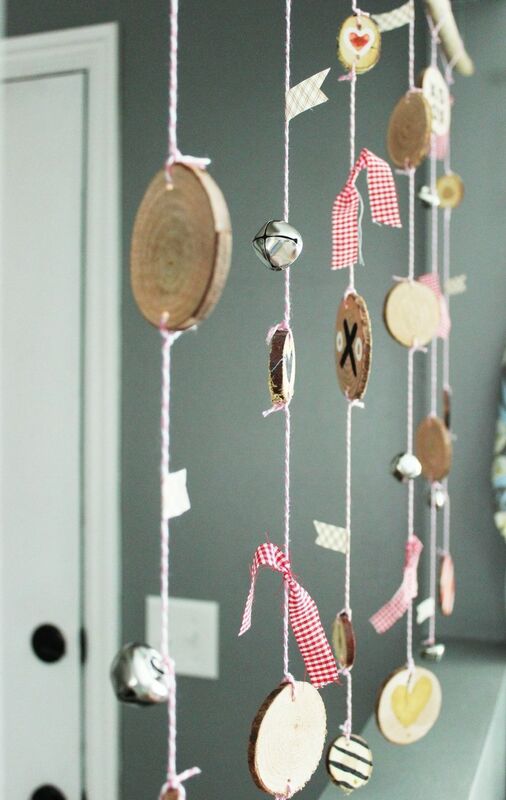 The skill can be used for a lot of other DIYs! 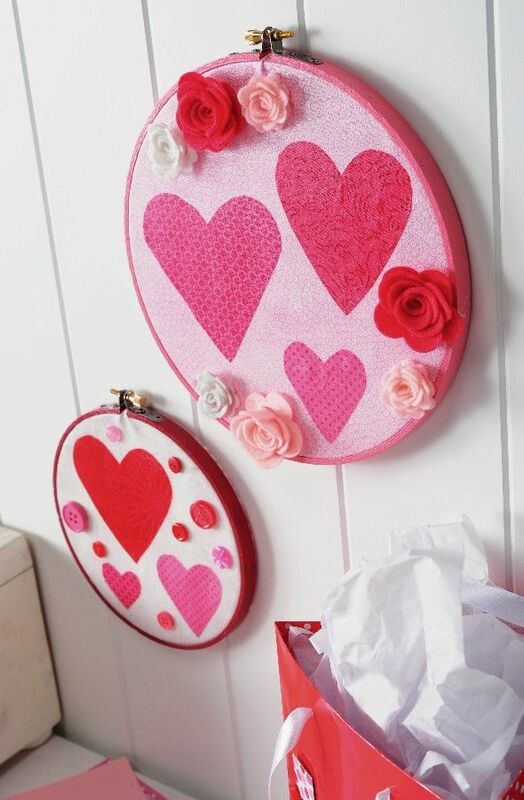 If you’re already a crafty lady, you’ll want to jive with these Valentine’s Day Embroidery Hoops. They’re perfect for decorating a craft room, guest bed, or even the powder room for the February holiday. 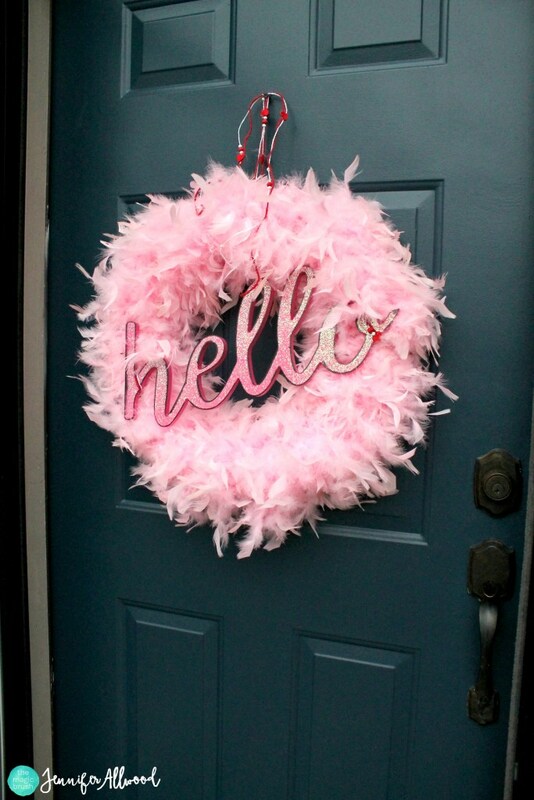 Everyone hold onto your hats, this Valentine wreath for your front door is full of fun and FEATHERS. It really don’t get more festive than this – or easy. Hop on over now and grab the details on its creation. 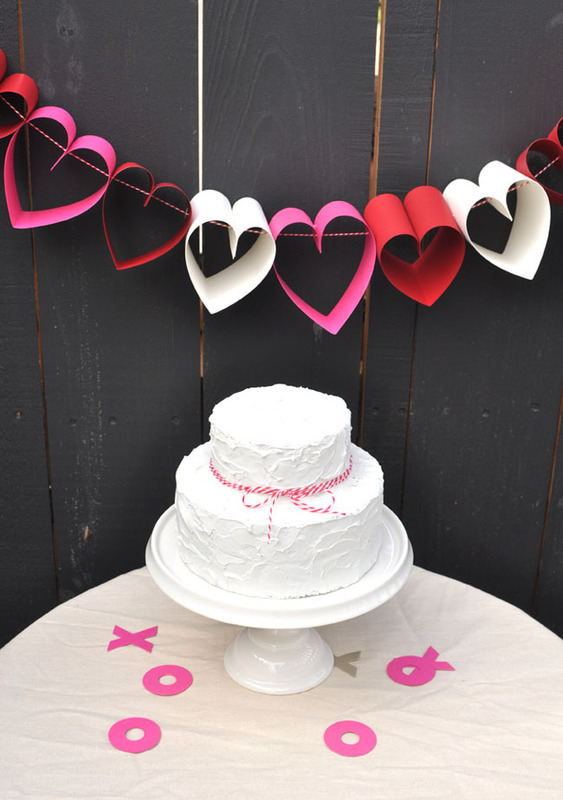 Are you throwing together a romantic or gal pal-inspired Valentines Day Party? 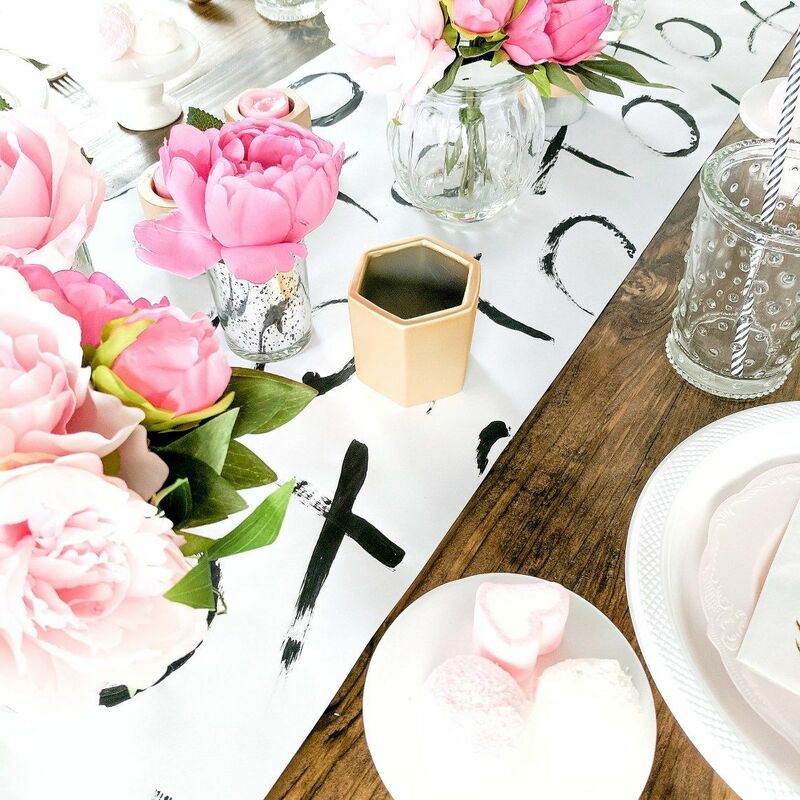 This tablescape is the perfect bout of inspiration you need to create something both festive and modernly stylish. 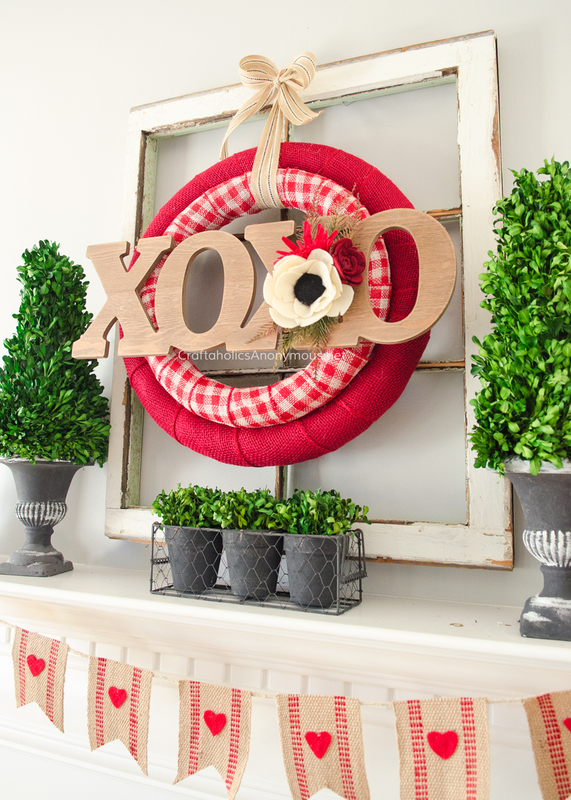 And this Farmhouse Inspired Valentine’s Decor is just another way for you to add that lovey-dovey spirit to your home. But you don’t have to do it in the ways that you’re used to seeing, you can still blend the accents into your rustically-inclined home. 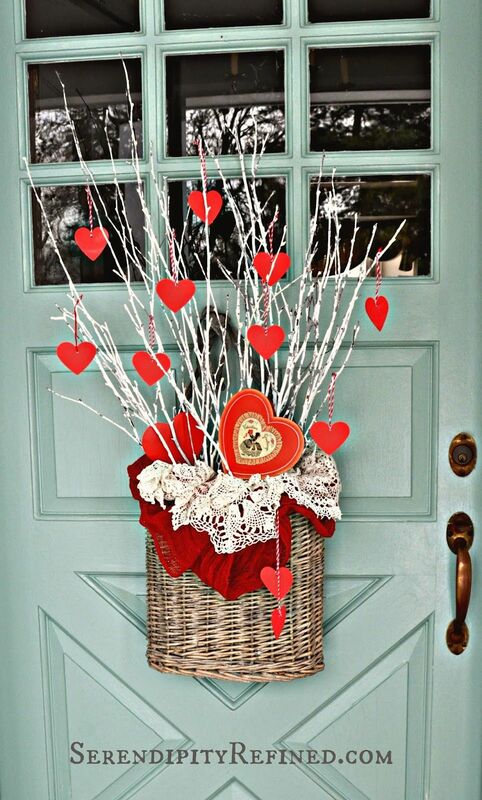 Valentine’s Day Decor in the Entryway could look just like this. We love how it pays homage to the holiday and to the winter season at the same time. There’s attention to color and texture as well. 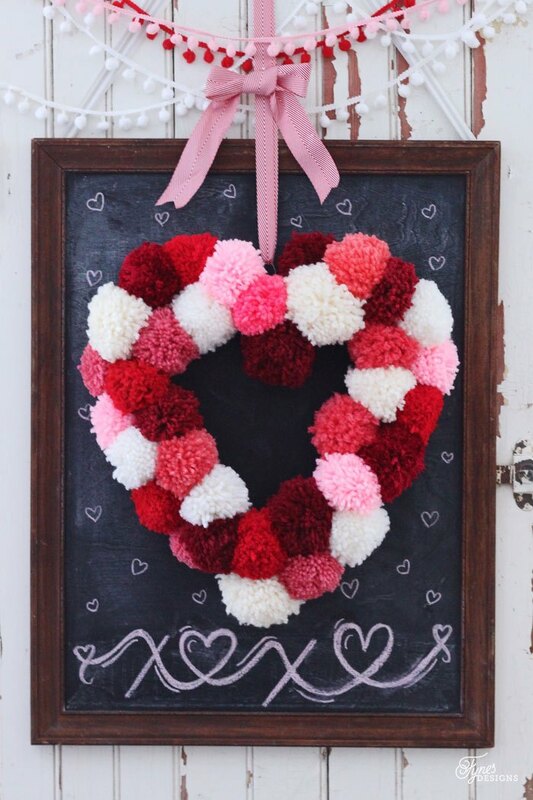 We’re loving this precious Heart Grapevine Wreath as well. It’s simple and light, and will work for any door of your home – making it a great welcome to family and friends. Check out this Paper & Yarn Wreath! The materials are easy to find and work with and your finished product can be a bit more personalized than this if you’d like. 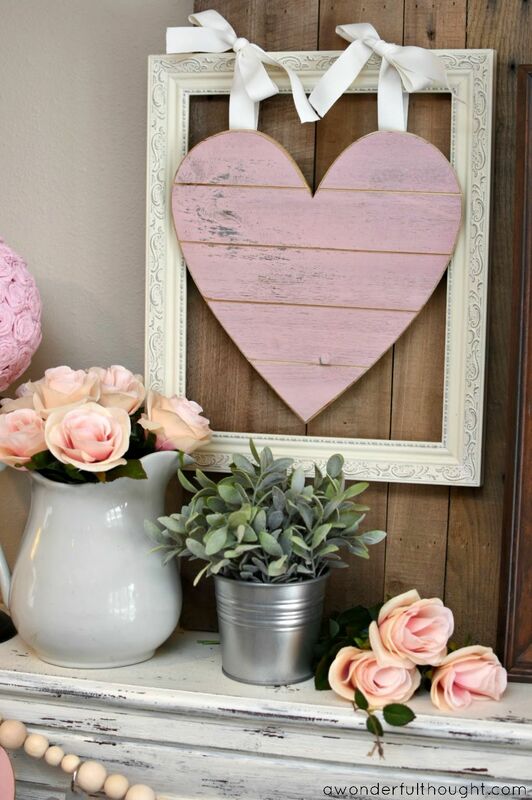 Yes, even your Valentine’s Day decor could use a bit of raw wood pieces. 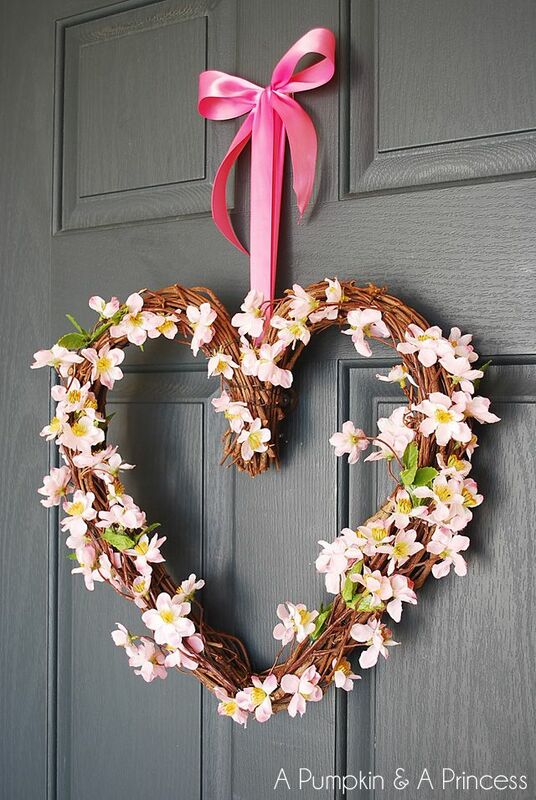 Just follow along with the tutorial and create a Heart Tree Branch Wreath right in your own home. 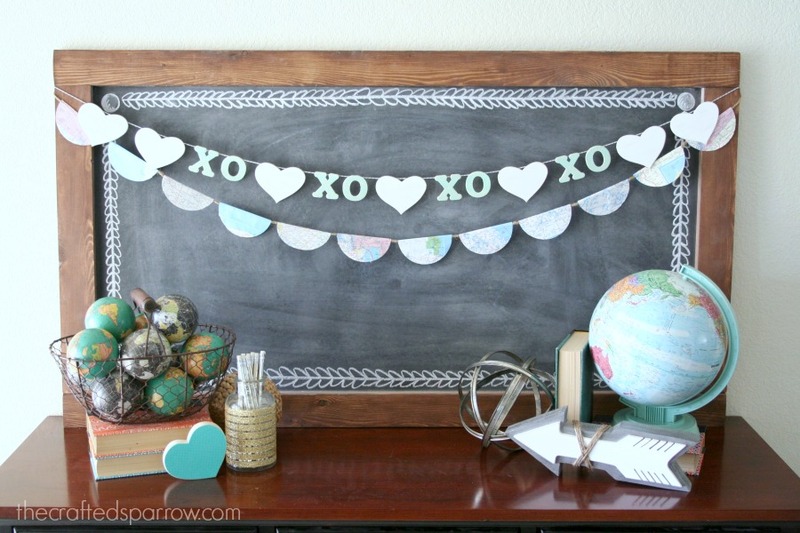 This Valentine’s Day Hugs & Kisses Washi Tape Garland is a winner in the DIY world. 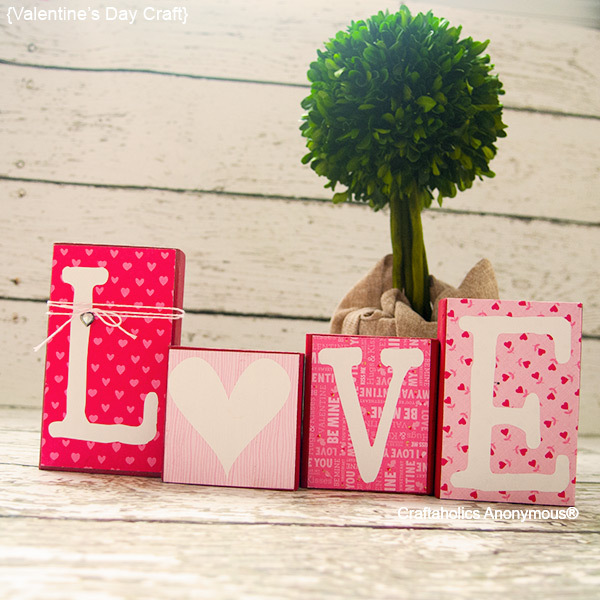 Most of the materials you already have in the craft room, and it looks good in offbeat Cupid colors just as much as red and pink will. 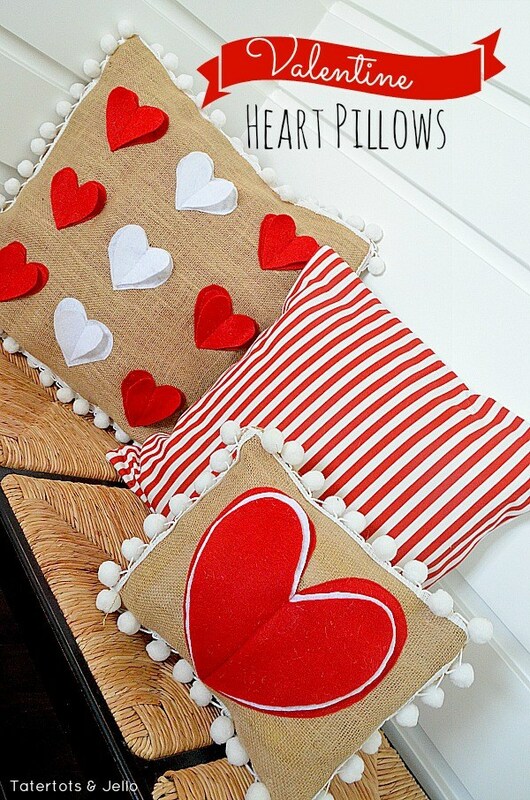 These Burlap and Pom Pom Heart Pillows are quite fun too. 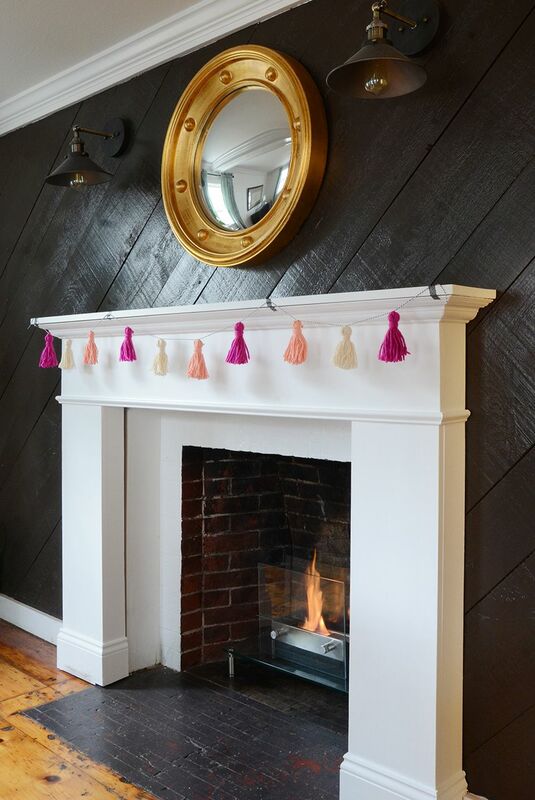 We like how these ones are just a bit more festive than the others with its use of red felt and pom pom garland. 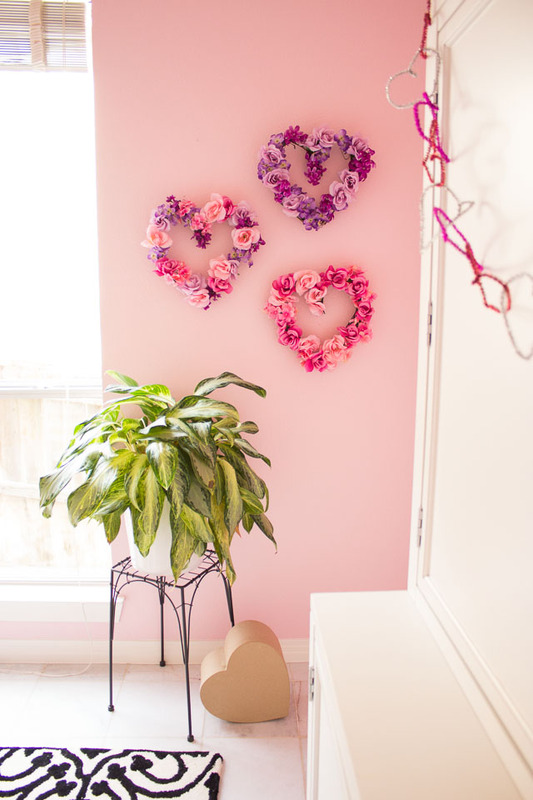 Here’s another Hanging Flower Heart DIY that we’re really feeling. It’s a perfect centerpiece to a party and a way to add some floral touches to the house – both real or faux work well. 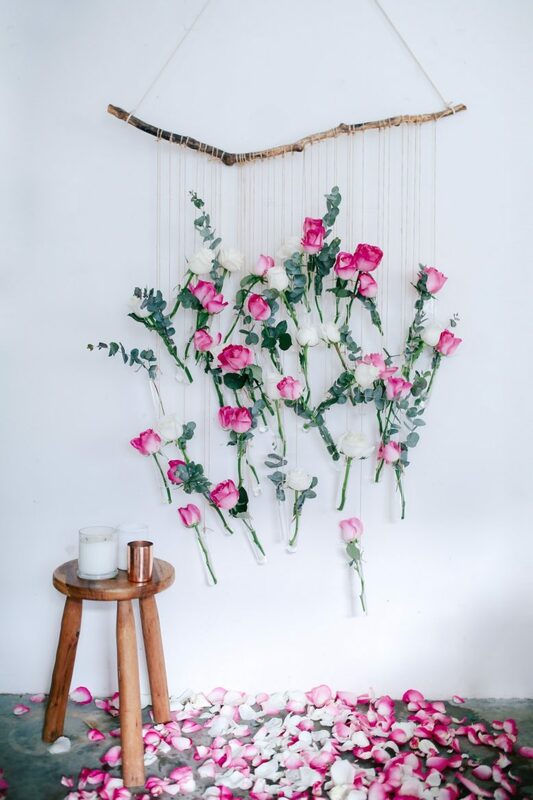 This DIY Floral Vase Wall Hanging is quite unique and gorgeous. It would be a lovely backdrop for a Valentine’s Day event or party. You could also create something larger or smaller depending on your needs. Here’s a simpler idea when it comes to February 14th tablescapes. These Chalkboard Place Settings are really easy, just hop on over and grab the instructions now. These Heart Branches are rather fun too. Whip them up and then add them to different spots around the house. Anywhere with an arrangement that could use the addition – the tables, the mantles, the windowsills, counters and more. Instead of a wreath, welcome your guests with a Basket Door Hanger. And then have fun stuffing it with personalized and festive holiday-inspired decor pieces. 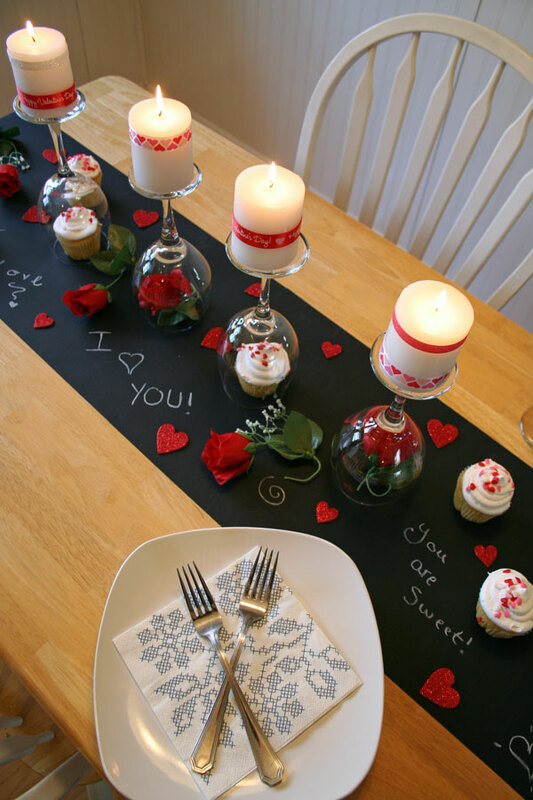 We have completely fallen in love with this Valentine’s DIY Table Runner. It’s a simple project that anyone can follow and still be left with a functional piece for the table – one that will look great! Love Yarn Letters work well for the season too. You need simple materials and to do some simple craftswork (although tedious) to create them. Then display then wherever you may need the pop or punch. 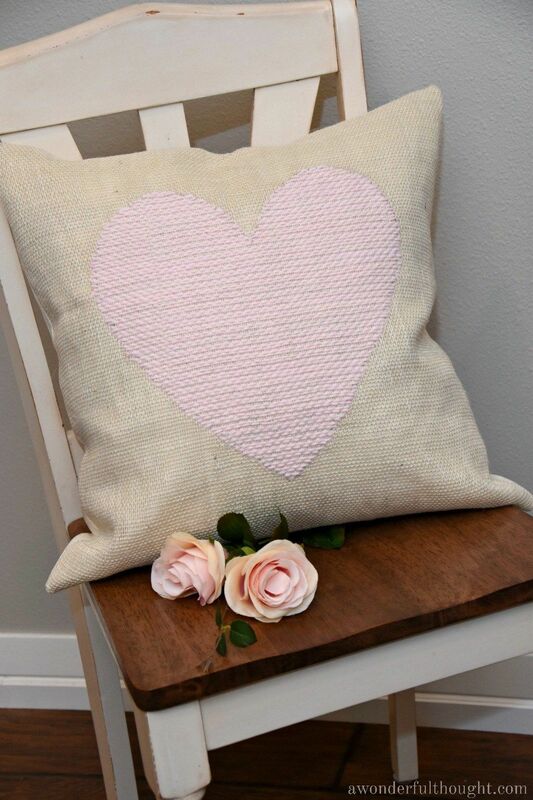 Throw one of these DIY Woven Heart Burlap Pillows into the mix of decor too. The home office couch or even the covered porch could use one of these delicate additions. 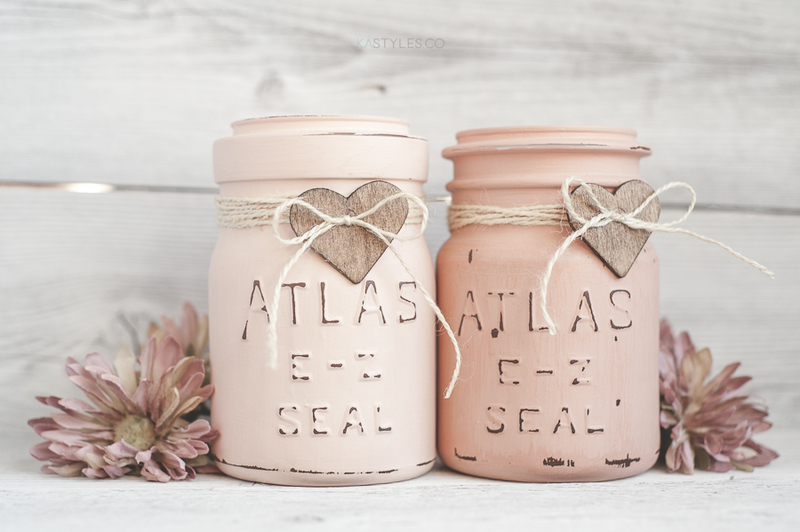 Finally, learn how to create these Latex Painted Mason Jars for Valentine’s Day! Use them to decorate or serve as the holder for your DIY gifts for family and friends. 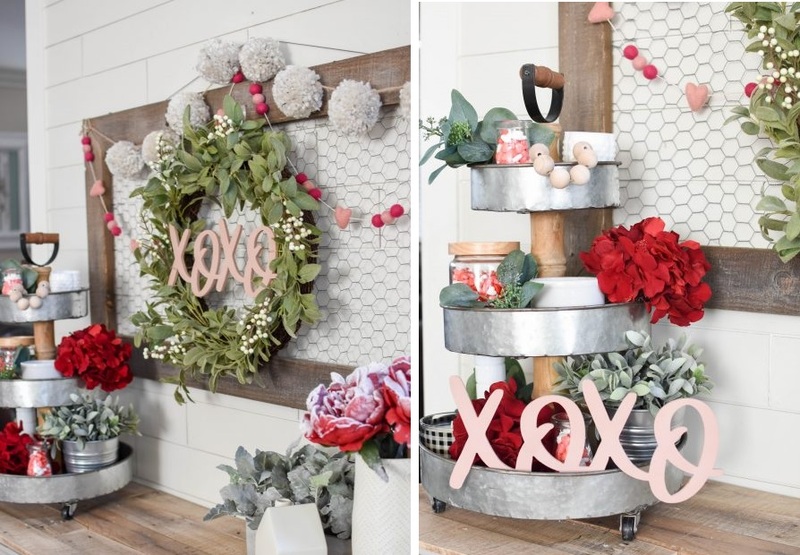 The post 50 Valentine’s Day Decor DIYs To Display In Your Home appeared first on Home Decorating Trends – Homedit.